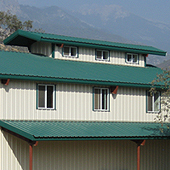 In addition to building houses, we work on a number of other projects, both large and small. Using a variety of materials, we build patios, decks, driveways and landscaping structures such as gazebos, arbors, fences, and greenhouses. We also do outbuildings, including garages, carports, pump houses, equipment storage facilities, shop buildings, and barns. We do an extensive variety of concrete work, both architectural and structural. 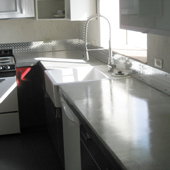 Architectural concrete projects include countertops, fireplaces, walls, columns, and stairs. Structural concrete projects include foundations, bridges, culverts, and bulkheads. 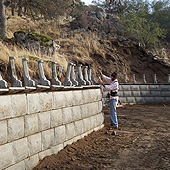 Additionally, we build retaining walls out of poured in place concrete, concrete block, 'lock 'n load' masonry units, and gravity wall systems.